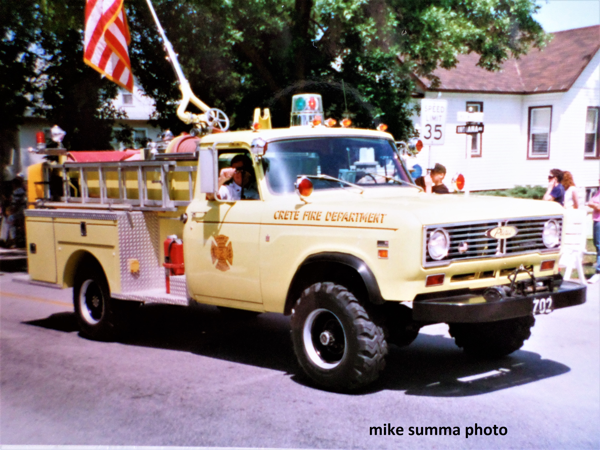 This entry was posted on November 8, 2018, 11:00 AM and is filed under Fire Department History, Historic fire apparatus, throwbackthursday. You can follow any responses to this entry through RSS 2.0. Both comments and pings are currently closed. I recall Glenside (Dupage) had an IH / Pierce Mini also. The Oak Forest one has gone about eight years now. Dodge was common but IH was also very common and then Chevys later. Funny enough, you see very few Ford/Pierce combinations from this timeframe. Hundreds of similar rigs went to FDs across the country.